‘ Tis the season to…update your home lighting! They say it is better to give than to receive. Well, we say why not do both? Give yourself an updated home this holiday season and you will receive more compliments than Santa Claus could ever hope to fit in his sleigh. And we hear that man can hold quite a bit in that magical bag o’ tricks of his. 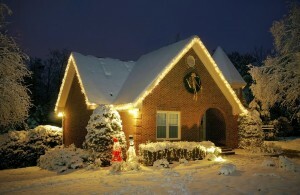 There are several cost effective home lighting projects that can help ensure you have a jolly holly Christmas season. The No. 1 benefit recessed lighting has to offer is, well, lighting! It can be used for ambient lighting to provide general illumination, task lighting to serve a specific purpose, or accent lighting to highlight a chosen space, item, or aesthetically pleasing architectural element. Click Hereto learn more about the benefits of recessed lighting. We don’t live in a one-size-fits-all world, so why settle for one-size-fits-all indoor or outdoor lighting solutions? You should not have to settle for what everyone else has, especially if it is not what you had in mind. Late fall and early winter are the perfect times to consider installing new ceiling fans in your home. And we know what you are thinking. “Aren’t ceiling fans designed to help cool a room?” Well, yes! But they can also be used to improve the efficiency of your heating system. By reversing fan rotation (which is as simple as flipping a switch), your new ceiling fans will help re-circulate warm air that is trapped on the ceiling. Click Hereto learn more about the benefits of ceiling fans. Fall is in full swing and winter is not far behind. And you know what that means, right? It gets dark early, often before you get home from work, making indoor and outdoor lighting substantially more important, especially when it comes to safety. Good lighting can help increase safety and minimize tripping hazards at night, or in the early morning hours. Outdoor lighting can also help improve home security. That’s what we like to call a win-win! Consider also installing lighting controls to ensure your lights are on before you come home. Otherwise, what’s the point? Have something else in mind? 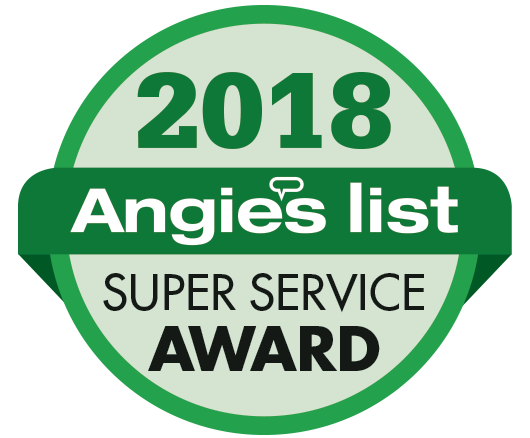 Well, now is the perfect time to tackle that home improvement project you have been putting off for years. So pick up the phone and give TriStar Electric a call. We will help turn your dreams into reality. It’s no Christmas miracle, but it’s the next best thing! Based in Maryland, TriStar provides electrical and lighting services that range from outdoor lighting to under cabinet lighting, smoke alarm installation, and so much more. No matter what the project is you can expect the TriStar Electric team to be professional, friendly, and ready to answer any of your questions. Our goal is to provide the right lighting and electrical solution for your project. Unsurpassed quality and excellence: that is our promise to you. Our electricians are experienced and supported by a team of personnel who value customer service. You can trust TriStar Electric for your next project. If you are interested in learning more about updating your Home’s Lighting and More, please contact TriStar Electric by calling 410-799-5791 or 301-384-8880 or fill out the contact form on our website. Our electricians will answer your questions and provide you with expert advice. This entry was posted on Friday, November 21st, 2014 at 8:17 pm. Both comments and pings are currently closed.